Home Uncategorized Interested in being a trustee? Nomination packages for the upcoming trustee elections are now available. The trustee nomination period for the 2018 trustee elections runs from 9 a.m. on Tuesday, Sept. 4 to 4 p.m. on Friday, Sept. 14. Completed nomination packages for Trustee Electoral Areas 1, 2, and 3 will be accepted at the District Education Support Centre only. 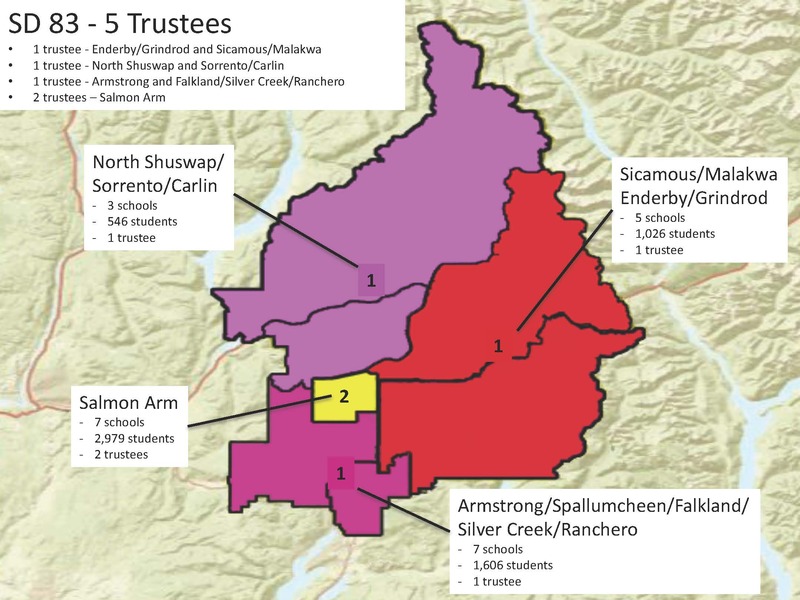 View the Notice of Nomination for Trustee Electoral Areas 1, 2, and 3. Completed nomination packages for Trustee Electoral Area 4 (Salmon Arm) will be accepted at the City of Salmon Arm.